Four generations of the Cooper family are gathering for Christmas Eve. Everyone is dealing with crises – one is on the verge of a stroke, another couple is preparing to divorce, another has just gotten divorced, and one member has gotten arrested. It will take a lot of unlikely circumstances to make this holiday turn out happy. 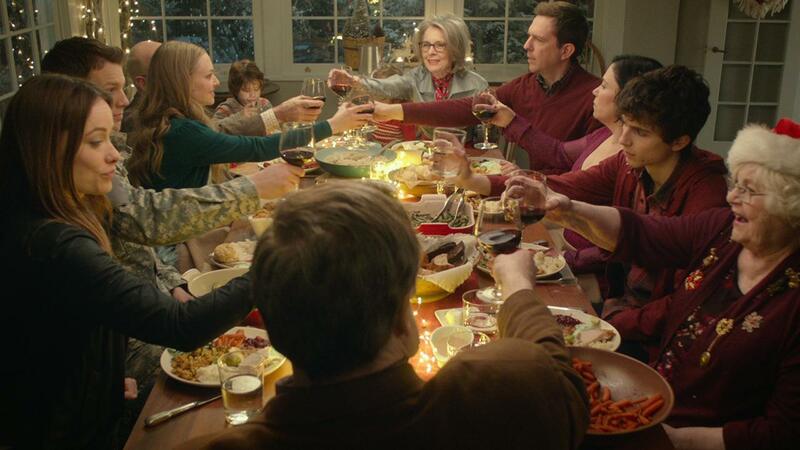 There are no adoption issues in the film, but the film does portray some issues of family loss and grief. One couple is pursuing a divorce. Their marriage has struggled since they lost a child (to death), and now that their children are grown, they are deciding to part ways. One character overheard that she was an accident while her sister was planned. Since hearing that, she has acted out. Another character finds it hard to be open emotionally, but is drawn to others’ displays of unguarded emotion. The Cooper family members love each other and overcome hardship and hurt feelings. None of the characters are particularly deep. Even the issue of a deceased child gets only marginal treatment. Some characters consistently lie and are ultimately rewarded for doing so. 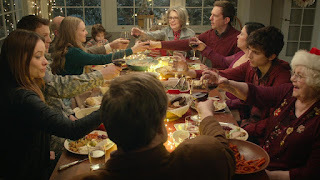 Love The Coopers seems to be a mostly harmless Christmas film. It’s pretty surface-level, and it won’t appeal to kids. 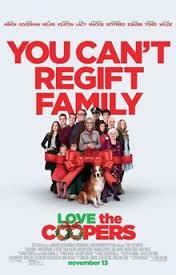 Parents might like it if they’re in the mood for a rather generic but generally pleasant holiday film about family. I enjoyed it moderately. The soundtrack was a highlight – Bob Dylan, Sarah Jarosz, and Fleet Foxes create a relaxing, festive mood. Are there any pains from the past that you haven’t fully grieved? How do they continue to impact your life? How can you work, with your family or within yourself, towards healing?